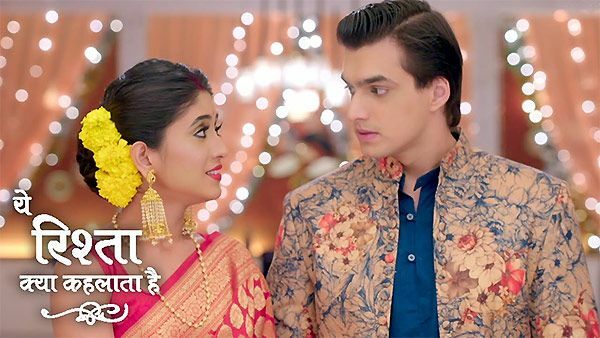 Yeh Rishta Kya Kehlata Hai is now on the young mode where Kartik and Naira are disturbed and angry on each other. Still fans are giving love to them as this is the most adorable couple of the TV serials. We are going to give you all latest written updates of Yeh Rishta Kya Kehlata Hai. Naira gets to know that Kartik is living on their floor above to them. She restricts her father from seeing Kartik. Kartik says I did not intentionally come here. Naira says I know. They both leaves for college. They get cab and fights for taking the cab. Kartik reaches college and he talks to the principal. Naira reaches college and then security asks for id card but then she remembers that she forgot the id card. Naira gets the id card from Naitik. she says thank you to him. Kartik stands outside and then Naitik sees the Kartik. He remembers why Naira was unwilling to go to the college. Swarna asks Kirti about maaji. Naira comes home and sees Naitik with the doctor. Doctor says now he is fine. Naira says i was so afraid and what happened. Naitik says i am fine. Naira says i know you are not fine, tell me what happened and you miss all of them and Bhaiya also misses you. She says i am sorry that because of me you have to live here.